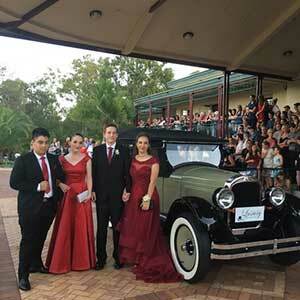 Arriving in style at your school formal has never been so unique or fun! 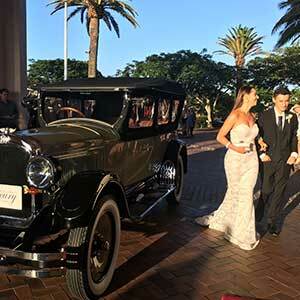 Imagine being transported to your formal in one of our beautiful vintage Hupmobiles, driven by your very own chauffeur. It’s a guaranteed way to have all eyes on you! 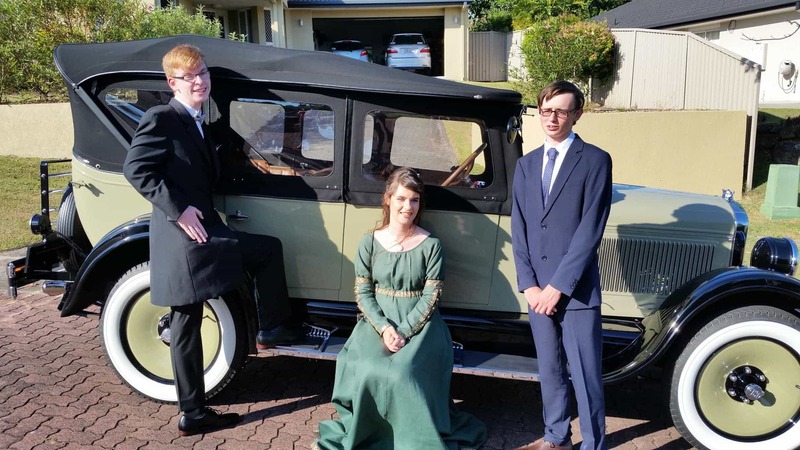 Our cars will comfortably seat four passengers, so grab some friends and talk to us about how Gold Coast Luxury Vintage Cars can make your big night truly special. Thank you John for creating such a beautiful memory for my son and his gorgeous partner. The car was perfect and very classy. We loved the added touch of you taking some beautiful photos for us. We would definitely recommend John and his remarkable vintage car as the whole experience was totally incredible. Dealing with your company was an absolute pleasure. 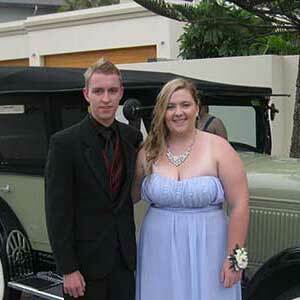 From the first point of contact, to the drop off at my daughters formal, you were professional, courteous and helpful. 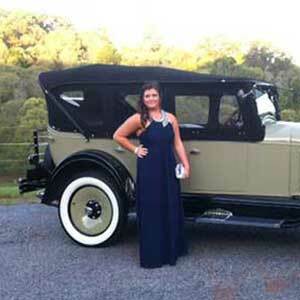 Cassandra felt comfortable traveling in the car and really enjoyed the whole experience. The car was beautifully presented and the price was very reasonable. I have already recommend you to other parents for next year’s formal. Thank you for sharing Cassandra’s special day. Thank you so much for taking our son and his friends to their formal. They thoroughly enjoyed the experience! The car looked absolutely beautiful and the service that you provided was outstanding! We will definitely be recommending you to our friends and colleagues. 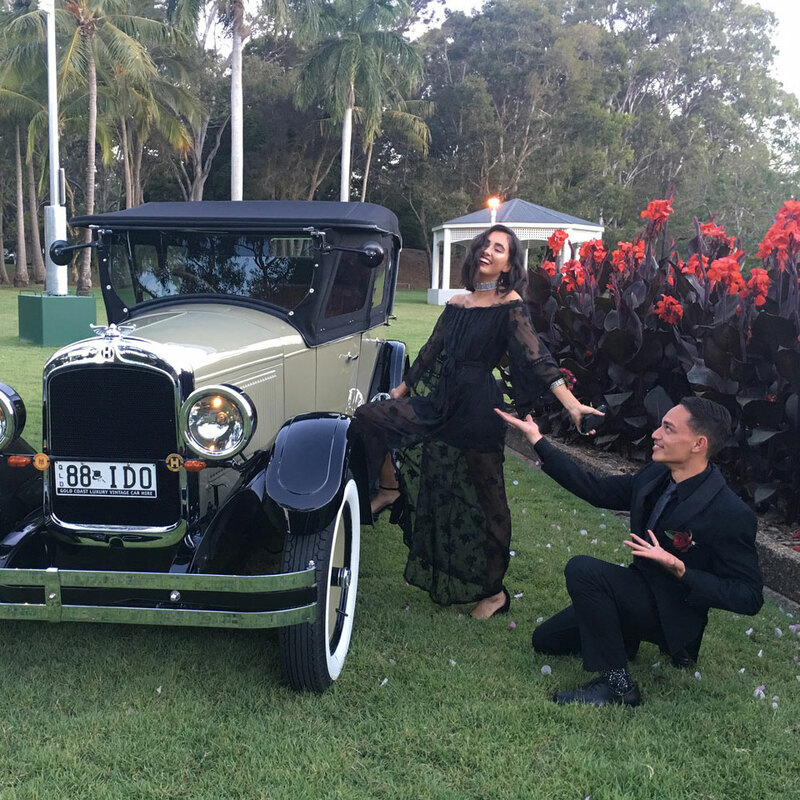 Gold Coast Vintage Car Hire made my formal experience amazing. Our driver Graham made everything a breeze and made our entrance definitely stand out from the rest. The card were super comfortable and luxurious. 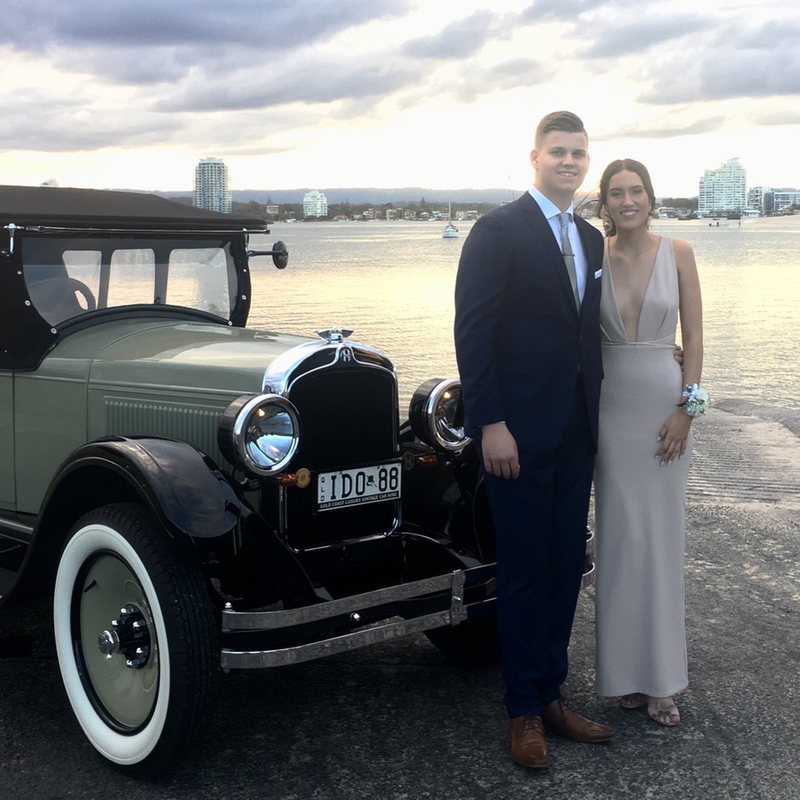 Overall I couldn't of asked for a better experience and I will definitely recommend Gold Coast Vintage Car Hire to my friends for their formals. Wow wow wow thank you John absolutely brilliant service!! You are so professional and patient. 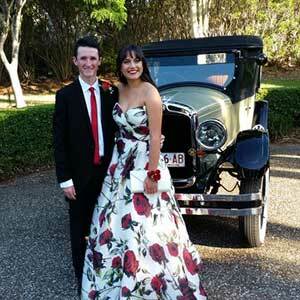 Cameron and Joanna had the time of their lives in the Hubmobile - the best chariot going to the formal. Thank you again John you must get so much pleasure from sending everybody off to their functions is such great style. Everybody instantly falls in loves with the car and all have a story to tell you!! 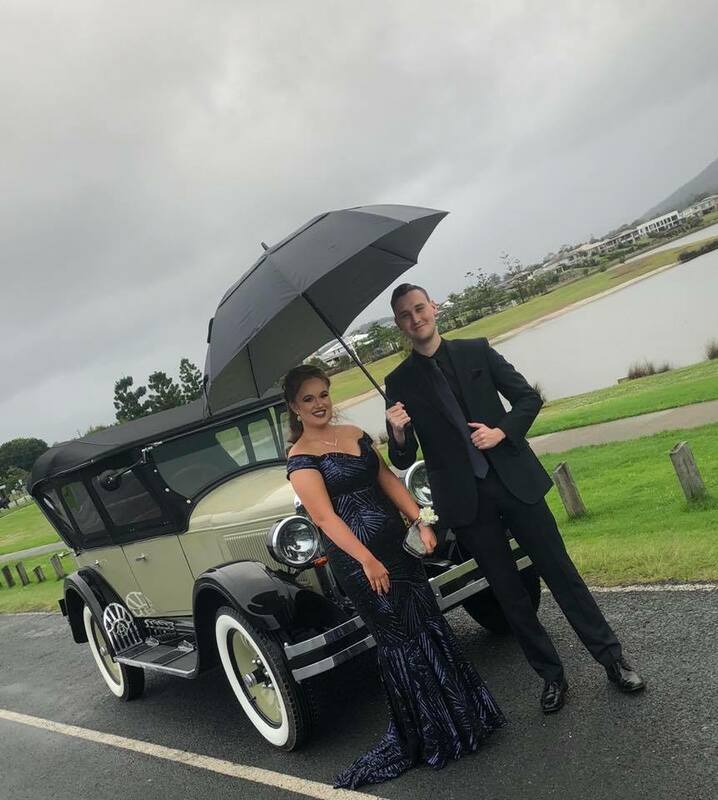 Its almost a week since Kashael and Ashlieghs formal and we have had endless comments about the hupmobile so I have told everyone where it came from and given them your website i just want to thankyou for the photos you emailed through and thankyou for your professionalism. Thank you SO much to the wonderful team at Luxury Vintage Car Hire. They were absolutely amazing!! Not only was the car absolutely beautiful and sooooo perfect for the occasion, John and team took the time to take photos, made sure the kids could get in and out of the car without any difficulties (red carpet arrival went beautifully thanks to this!) and sent us through photos of the event too. I couldn't recommend them highly enough. Thank you!!! !